It is possible that you once encountered the situation where you found it difficult to copy your desired hair look because you have layers, especially when braids are the styles that you want. When braiding your layered hair, you may find that some strands keep poking out, making the braid irregularly messy. The three tips below may be of assistance when it comes to settling this matter. Select styles suitable for layered hair. It is highly suggested that you start braiding your hair from the position above your shortest layer in your hair. Your shortest layer can stick to your braid well if it can reach the plait. For those who have many layers in hair, fishtail braids may be fantastic. Personally speaking, fishtail braids look pretty even being a little messy. Thus, it doesn’t matter to me if there is a few ends poking out of my braids. But for a Dutch braid or French braid, a neat finish is better. What if your straight layers keep poking straight out? Curl them into your hairstyle. Curl the ends of your hair before braiding or styling any updos can make the styles more stunning. By means of curling, you can have layers that blend into your braids rather than poking out. Curl the ends of your hair using a curling wand or styler. A hairdryer and a small, round brush can be also effective if you can not find a curling wand or styler. Manage your hairstyle using hairspray and bobby pins. 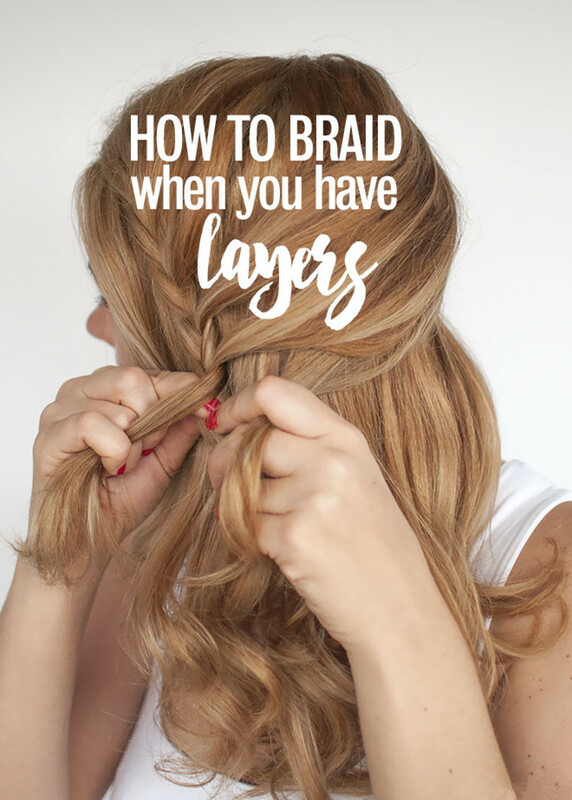 If you have layered hair, and you are going to braid your hair, you must need hairspray and even bobby pins if you want to tidy it up, because there are always a few ends poking out of your braids. To tidy up your hair look, firstly you can stretch your braid gently and then tuck loose ends in. After that, apply a little hairspray to hold the loose ends in place. In case that hairspray is not effective enough to hold all the loose ends, take a bobby pins and hook the ends into the pin. 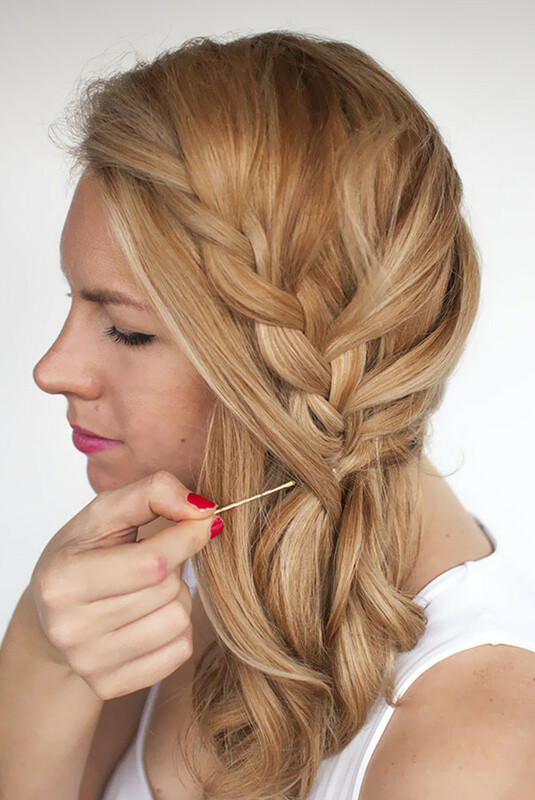 To hide the pin, push it in along the length of your braid. How do you think of these three tips? Or do you have other wonderful ideas? Click to get tutorials of styling different braids.